Introducing Deciem’s conditioner like no other, Hair is Fabric. I’m actually finding it hard to put this into words- it’s so cool and different. So named on the principle that “You wouldn’t wash couture clothing with detergent so why care any less for your hair” I don’t know, I probably would. I don’t have couture clothes and I care for my fabrics by slinging them in a hot wash with some Daz. I definitely take better care of my hair than I do my fabric. That being said, I like the name. “Think of HIF Cleansing Conditioner as dry cleaning for your hair, only with water” say what Deciem?! What Deciem so esoterically means is they don’t use detergents to clean the hair. Instead the HIF contains “Cleansing Fractions”. 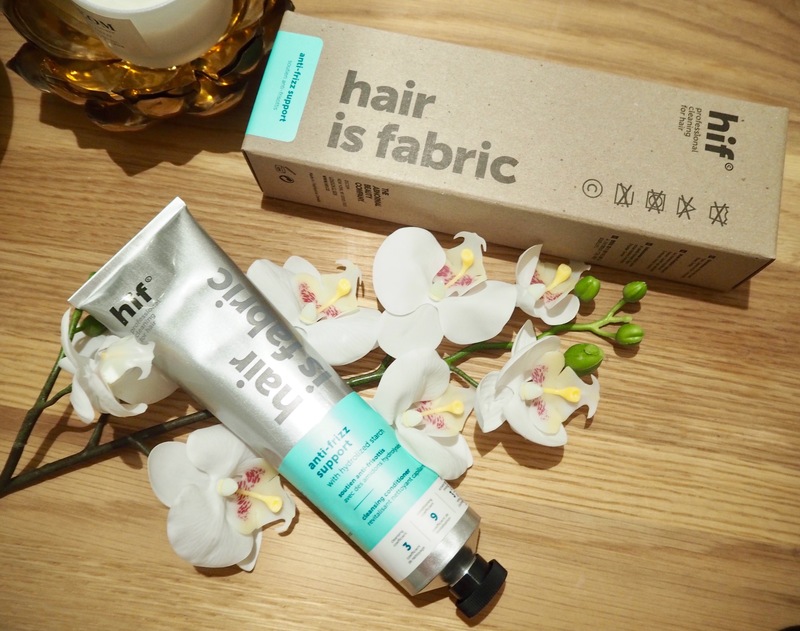 Hair is Fabric has got you covered. Each one has different cleansing and conditioning abilities and different active ingredients. Each product has a completely different formulation, consistency, scent and colour. HIF costs between £25 and £50 for a 180ml tube, the Anti Frizz is £30. Which is a little pricey for a shampoo/conditioner. Ingredients- Aqua (Water), Palmitamidopropyltrimonium Chloride, Parfum (Fragrance), Propylene Glycol, Crambe Abyssinica Seed Oil, Glycol Distearate, Acacia Senegal Gum, PPG-3 Caprylyl Ether, Xanthan Gum, Ethylhexyl Stearate, Hydroxyethylcellulose, Hydrolyzed Keratin, Tremella Fuciformis Sporocarp Extract, Sodium Methyl Cocoyl Taurate, Tocopheryl Acetate, Propanediol, Panthenol, Hydroxypropyltrimonium Hydrolyzed Corn Starch, Glycerin, Betaine, Sodium Chloride, Lecithin, Potassium Sorbate, Linoleamidopropyl PG-Dimonium Chloride Phosphate, Carrageenan, Chlorphenesin, Phenoxyethanol, Alpha-Isomethyl Ionone, Benzyl Benzoate, Benzyl Cinnamate, Benzyl Salicylate, Citral, Citronellol, Eugenol, Geraniol, Hydroxycitronellal, Limonene. The main ingredient is Palmitamidopropyltrimonium Chloride, which is a mild cleanser which is safe to use and suitable for curly hair. 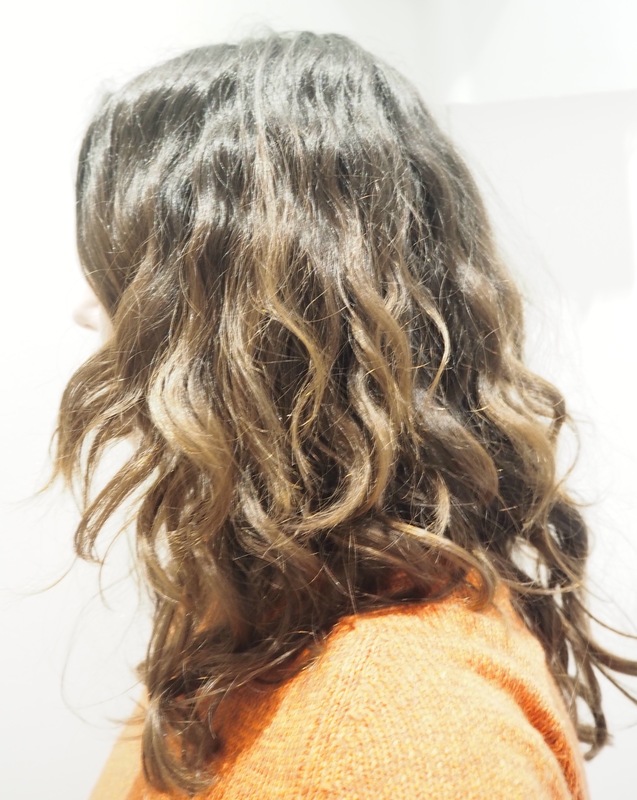 If you have frizzy or curly hair, Sulphates like Sodium Laureth Sulphate or Sodium Lauryl Sulphate are your worst enemy. They will strip all the natural oils from hair, like fairy liquid. Sulphate free hair cleansers are much gentler. The conditioning comes from Tremella Fuciformis Sporocarp (snow mushroom) Extract, Crambe Abyssinica Seed Oil, Hydrolysed starch and keratin. The texture of HIF Cleansing Conditioner is like a thick soapy gel. I love the smell, it’s clean and aromatic and not perfumey or girly. You really don’t need much of the Conditioner to do the job, maybe 5p/10p sized blob. It makes a dense foam that you leave on for a full 3 minutes to get the most of the conditioning ingredients. It takes a bit of rinsing out, which is why I wouldn’t use much to begin with. A 180ml tube is going to go a long way. Typically for Deciem, this is a hair care product like no other, it doesn’t feel, smell or behave like any other shampoo or conditioner I’ve tried. It’s gorgeous to use and leaves my hair feeling fresh but not dried out. After just using HIF on its own my hair is a bit dry. It could benefit a bit of conditioner. I just use my HIF Anti Frizz as a shampoo, then I use a separate conditioner. It works fab as a shampoo, it’s moisturising and cleansing, doesn’t irritate my scalp, but it does need a bit of conditioner. I’ve been using Hair is Fabric Anti Frizz for weeks now and I love it. I generally use it every 2nd or third day and condition afterwards and in between with a separate conditioner. The tube has lasted months. 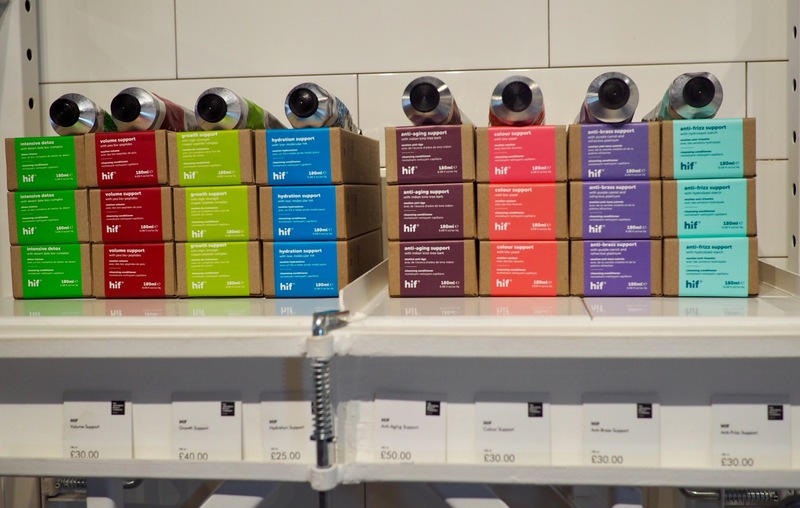 In typical Deciem style, Hair is Fabric is different, esoteric, pleasingly packaged and is like no other hair product. I find it so gratifying to use, even though it doesn’t actually cure my frizz, I’m probably going to buy it again anyway. It’s a bit pricey at £30 but it’s lasted me months and there’s still some left. Hair is Fabric respects the long term health of the hair, even if it doesn’t do what it sets out to do i.e. cure frizz, it’s still a good product.